© Fayez Nureldine/AFP/Getty Images Saudi Crown Prince Mohammed bin Salman attends the Future Investment Initiative conference in Riyadh on Oct. 23. 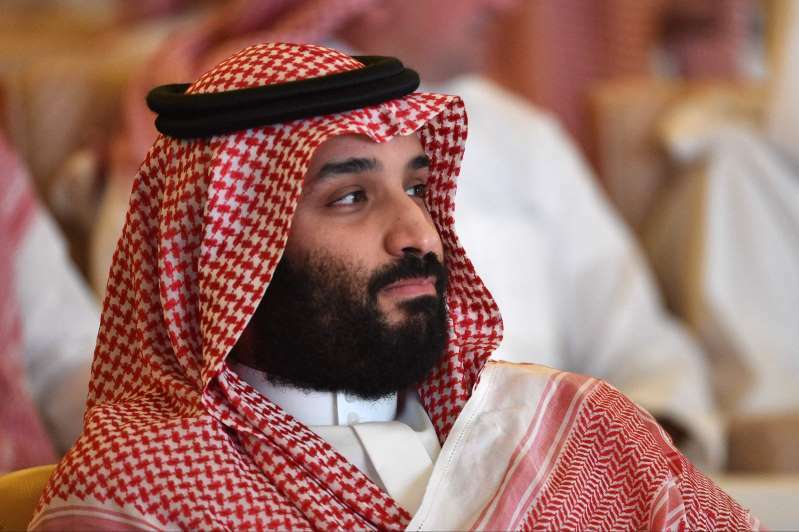 In the upper echelons of regional governments, however, few are laughing as Saudi Arabia and its crown prince, Mohammed bin Salman, face what may be the most serious threat to the kingdom’s power and stability in a generation. Many have long worried about the prince’s ambition and perceived arrogance . Others resent Saudi dominance and wealth. Nearly all are shocked at what few doubt was the officially sanctioned killing and dismemberment of Saudi journalist Jamal Khashoggi at the Saudi Consulate in Turkey. But what worries the Arabs most, regional officials and experts say, is what they see as the danger to their own stability and security should Saudi Arabia’s status — and its close ties with the United States — be seriously undermined. “The situation is a dilemma for the region because of the uncertainty of how it will affect the relationship with the U.S. long-term,” said a senior official from a Persian Gulf country, one of several who spoke on the condition of anonymity about the sensitive issue. As the Trump administration compiles what Secretary of State Mike Pompeo on Tuesday called its own “data set” on what, exactly, happened to Khashoggi, and weighs how to fully respond, regional concern is mounting. Not every Arab country is happy with every aspect of Trump’s policies toward the Arab world. Most, but not all, share the administration’s antipathy toward the Muslim Brotherhood, the region’s leading purveyor of political Islam. Some are more unhappy than others at the administration’s pro-Israel tilt, and its up-and-down relationship with non-Arab Turkey is closely watched. But with few exceptions, Trump’s determination to crack down on Iran, after what was seen as the Obama administration’s soft stance toward their regional rival, has been greeted with relief. And for better or worse, Trump has chosen Saudi Arabia as the United States’ main interlocutor and leading Arab ally in confronting Tehran. However they feel about the crown prince, said an official from another country in the region, under the current U.S. administration, Saudi Arabia is the “pillar” around which the Arab relationship with the United States is anchored. “Who else [in the region] is going to lead?” this official asked. The United Arab Emirates, Saudi Arabia’s closest Persian Gulf partner, has vied with Riyadh as the region’s most dependable U.S. military partner and privately disdained Saudi tactics in the Yemen war against Iran-backed rebels that both are fighting. language tweets last week, Anwar Gargash, the UAE’s minister of state for foreign affairs, reminded that Saudi Arabia, the location of Islam’s holiest sites as well as a substantial portion of the world’s oil, is important to all of them. Even in the Maghreb, where tensions with the Saudis have emerged since King Salman promoted his son as heir apparent and “everybody is outraged” about the Khashoggi situation, “the question is, will the U.S. try to save the relationship to Saudi without MBS, or will they try to save the relationship to the Saudis and MBS,” a North African official said, referring to the crown prince by his initials. Since Khashoggi failed to emerge from a scheduled visit to the consulate in Istanbul on Oct. 2, the Saudi story has repeatedly and radically changed. What started with complete denial — and insistence that he left the consulate under his own steam — became, in a Saturday statement from Riyadh, an admission that he was killed in a “fistfight” at the consulate during a “rogue” Saudi operation that Mohammed knew nothing about. Arrests had been made, the statement said, and investigations were continuing. The statement brought new expressions of support from the region. Bahrain, the tiny island nation in the Persian Gulf whose monarchy the Saudi military defended during Arab Spring uprisings, praised the “wise directives and sound and prompt decisions” of Saudi leaders. “Bahrain reiterates its strong solidarity with Saudi Arabia in all its stances and measures and utterly rejects any attempt that targets its security, sovereignty and stability,” the Foreign Ministry said in a statement. The Kuwaiti government commended the “transparent” Saudi announcement and called on the international community to refrain from interfering in the “sensitive case until completion of the investigation and facts are revealed.” It praised Saudi Arabia’s role in maintaining regional peace and stability. Egypt and Jordan, both of which depend on Saudi economic support, issued statements of support. Jordan’s King Abdullah II sat at the crown prince’s side Tuesday at the opening of an investment forum in Riyadh that some in the West decided to boycott. Among the gulf countries, only Qatar — locked in a bitter dispute with Saudi Arabia, the UAE, Bahrain and Egypt, which charge, among other things, that it is too close to both Iran and the Muslim Brotherhood — has spoken out against Riyadh. But the only country likely to be happy about the still-unfolding Khashoggi crisis is Iran. From the start, both religious and political leaders there have been noticeably reticent, apparently content to stand back and watch the Saudi position unravel. It was only on Monday, after the official Saudi statement acknowledged Khashoggi’s death, that a senior Iranian official broke the silence. “This heinous murder further revealed the nature of the Saudis, their kingdom and that young man who is seeking fame and murdering innocent people,” Iranian judiciary chief Sadegh Larijani said in an apparent reference to the crown prince, according to Agence France-Presse in Tehran.